There’s a rumour the weather is about to turn warmer… so we’ve made our family meal summery too. All the recipes are easy to make and delicious to eat. 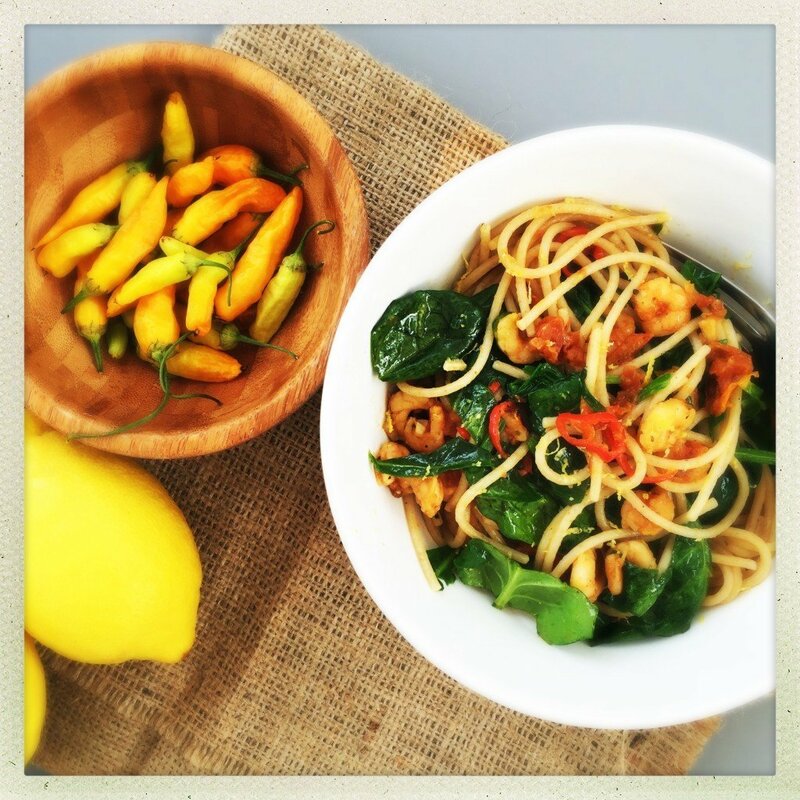 Really quick and healthy pasta recipe, if your kids don’t like chilli, just leave it out. Grab the prawn spaghetti recipe here. One of my favourite recipes – hot pasta tossed through a spicy sauce made from marinated tuna, fresh tomatoes and lots of black olives. Simple marinated chicken with roast veggie couscous, it’s healthy, delicious and any leftovers are just great cold next day. 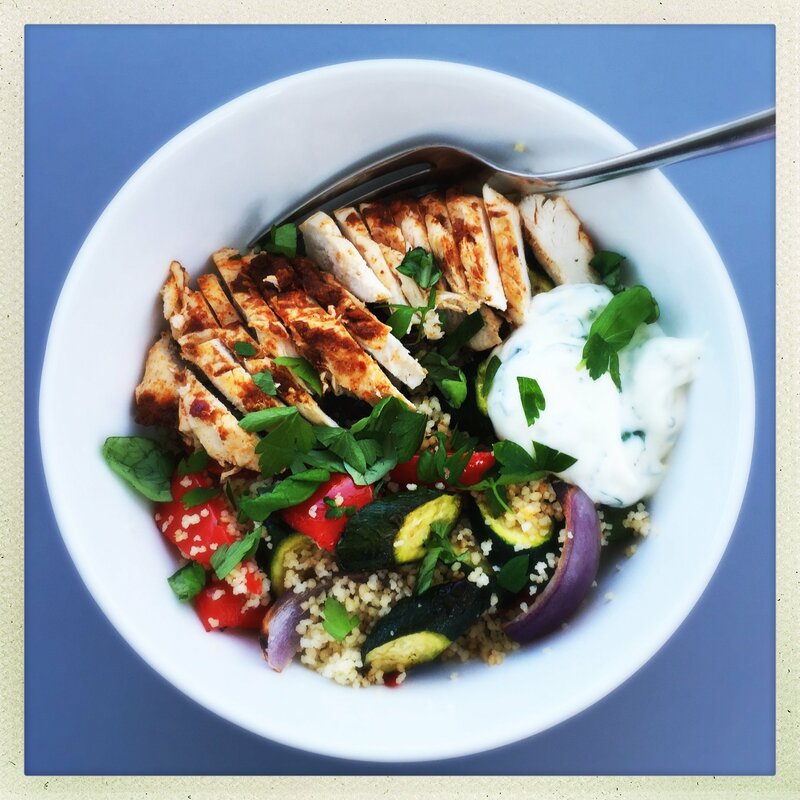 Get the Harissa chicken couscous recipe here. 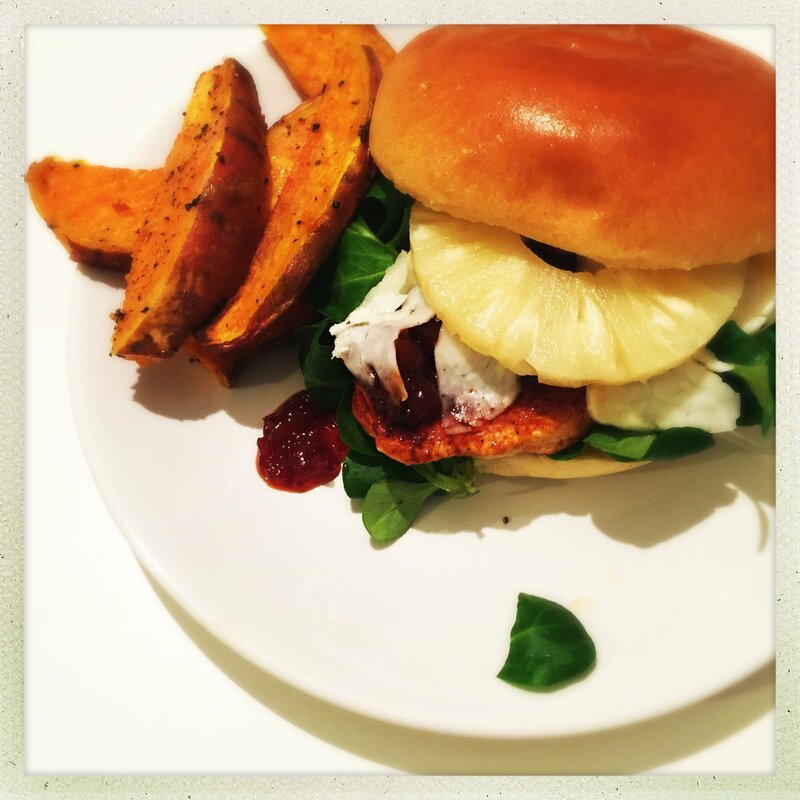 Simple grilled fillet burer topped with lots of salad, pineapple, halloumi and a side of sweet potato wedges. Get the Chicken fillet burger recipe here. The easiest veggie burgers, I just stack sliced grilled aubergine, tomato and peppers with halloumi in a toasted brioche bun or pitta with hot sauce and salad. 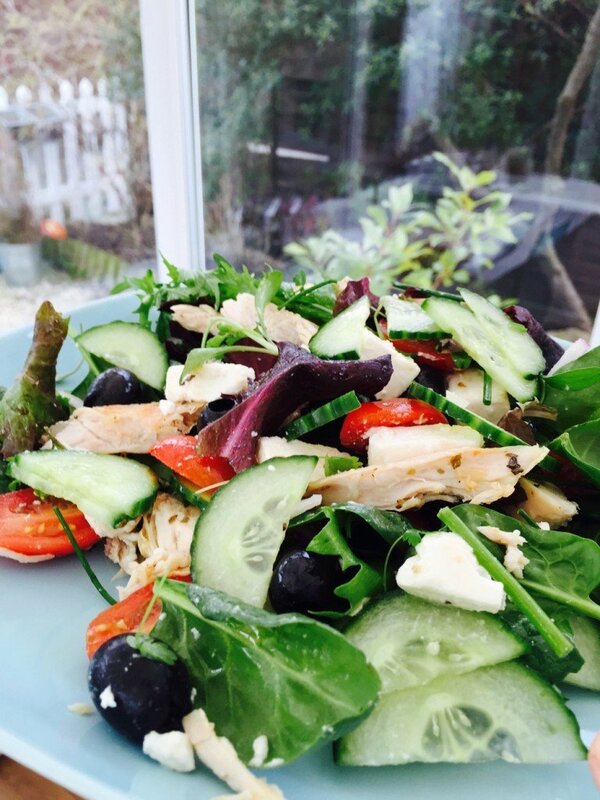 Using supermarket cheats this salad is ready in just minutes, fab for a busy Saturday. Get the Greek chicken salad recipe here. Just a nice selection of chicken and vegetable kebabs, served in pittas or flatbreads with lots of salads. 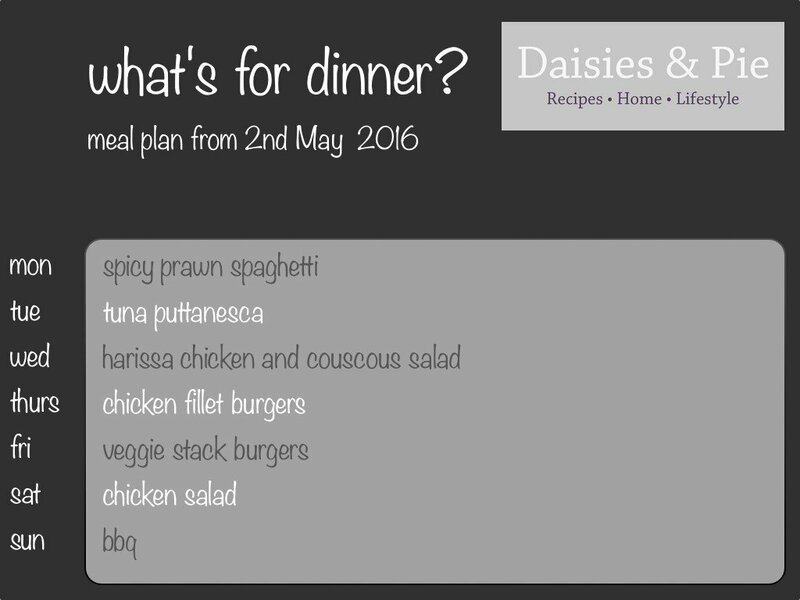 I’ve linked this meal plan up with At Home with Mrs M – Meal Planning Monday.